When it comes to mountaineering, protection from the elements is important, as is trying to harness the body’s warmth and perspiration. Stop-and-go activities in sub-zero temperatures set a particular challenge for functional fabrics. They have to strike the right balance between trapping an insulating layer of air next to your body and allowing moisture/sweat to quickly escape. 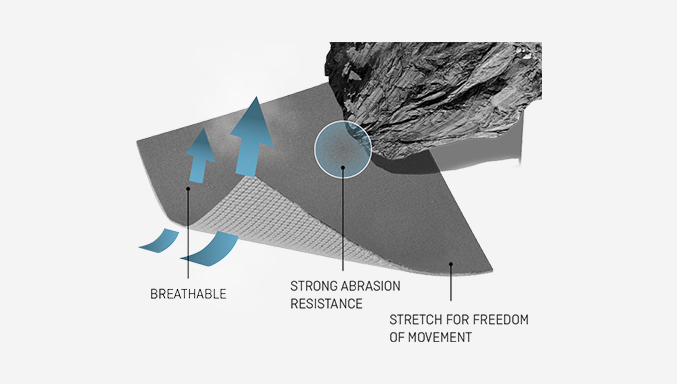 Polartec® High Loft™ is one of the most innovative textile solutions to meet these requirements. 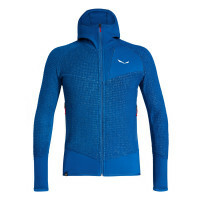 The high lofted construction creates air pockets that retain body warmth in the fluffy fibres. Open mesh stitching releases excess heat during exertion for enhanced breathability. 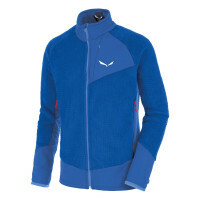 The resulting fleece is lightweight, packable, highly breathable and fast drying. And its fluffy, lofted construction is unmistakable. 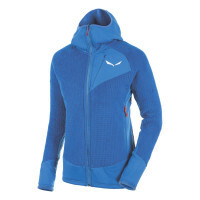 SALEWA® uses Polartec® High Loft™ to make fleece jackets that offer a balanced mix of heat retention and breathability so that you can pack light and stay warm.